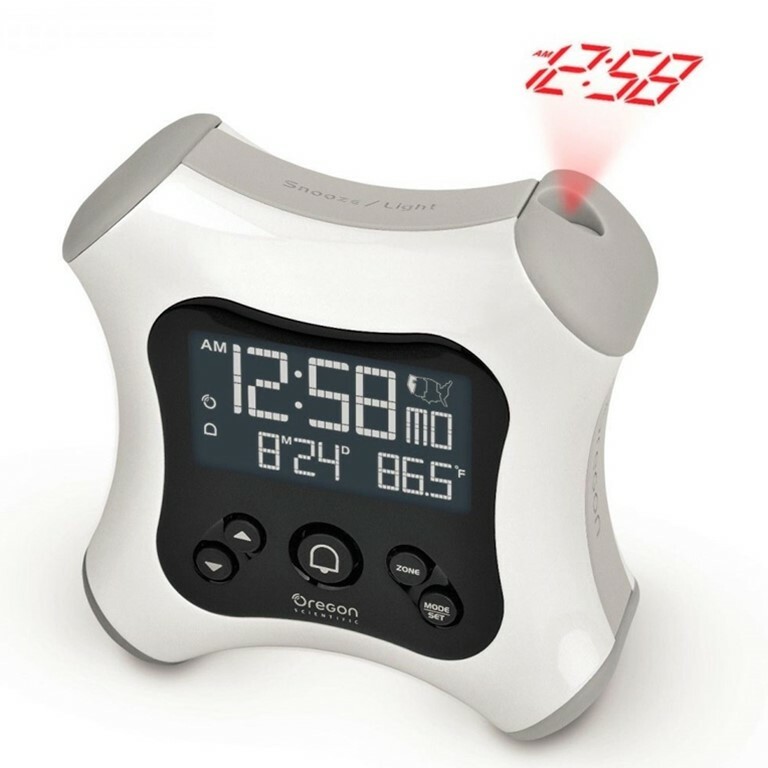 Oregon Scientific RM330P / RM330PA Projection Alarm Clock with Indoor Thermometer is a cool, stylish alarm clock that automatically sets to the local time. The Oregon Scientific projection clock feature offers a unique way to read time in the dark by casting softly glowing digits in charming red on a wall, ceiling, or just about any surface. No more rolling over in bed and trying to reach out for your clock in the middle of the night! With a compact design that suits the taste of people with different lifestyles, the RM330P / RM330PA alarm clock with projection is the ideal gift for anyone on your list. It makes an elegant present with practical value that truly reflects the wisdom of both the buyer and the receiver.